Earlier this year, YI Technology introduced the YI 4K+ Action Camera to the world, a virtual-reality camera that captures UHD 4K video at 60 fps. Now the company has announced the YI 360 VR Camera, the first of its kind to shoot 360-degree video in 5.7K at 30 fps, and with the capability to create in-camera stitching for 4K video and live-streaming. Priced at $399, the new pocket-sized camera is available at Microsoft stores and the YI technology online store. Designed to create high-quality immersive content in an affordable, easy-to-use system, the YI 360 VR features dual 220-degree eight aspheric glass lenses, each with an ƒ/2.0 aperture, as well as built-in 2.4 GHz and 5 GHz WiFi for 4K shooting and live-streaming. There are five video preview options within the YI 360 app—stretched view, little planet, round, panoramic and dual VR view. Shoot with the YI 360 VR handheld or mounted. Compatible with the Oculus Rift and HTC Vive VR headsets, the YI 360 VR can shoot for up to 60 minutes on its battery when recording at 4K/30 fps. In addition to the YI 4K+ Action camera, the YI 360 VR Camera joins the YI M1 Mirrorless Digital Camera and the YI HALO professional 3D camera in the YI Technology universe. Find a Microsoft store or visit the YI Technology website for more information. The pocket-sized camera is the first to shoot 360 degree video in 5.7K at 30fps, with instant in-device stitching for 4K footage and live-streaming. 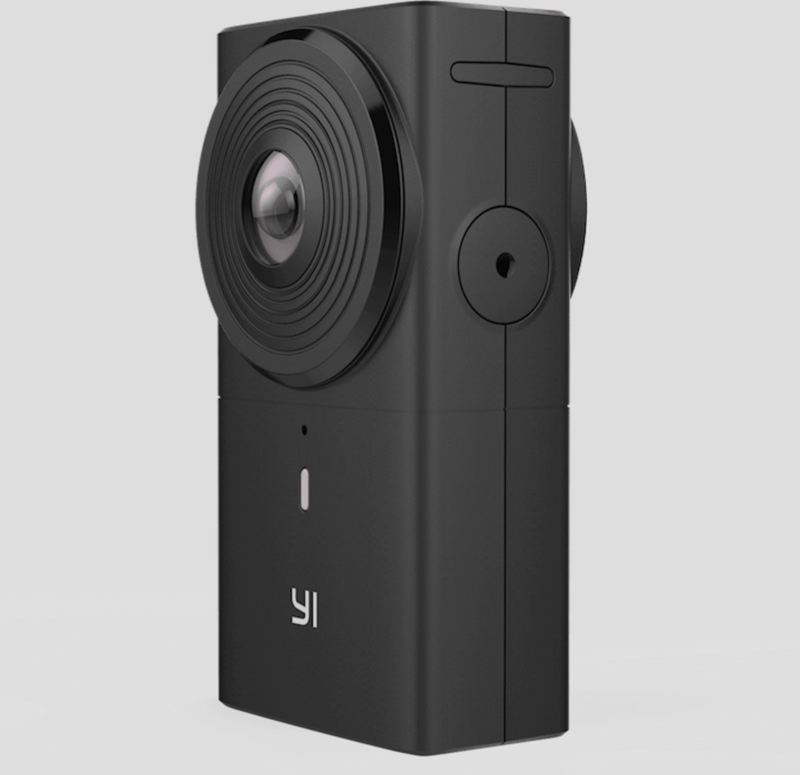 SEATTLE, November 13, 2017 – YI Technology (YI), the leading provider of advanced, intelligent imaging technologies, announced availability today of its unique YI 360 VR camera (“YI 360”) at Microsoft Store locations in the U.S. and Microsoft.com. The YI 360 makes high-end virtual reality video easy and accessible to anyone who wants to create and share content. With a simple, handheld and mountable camera design, the YI 360 VR is the first VR camera to combine high-fidelity, 360-degree video capture, an easy mobile application along with 4K instant, in-device stitching and 4K live-streaming to any sharing channel. With these innovations, the YI 360 VR™ provides a complete solution for creating immersive, 360-degree video experiences easily, quickly and anywhere. Already known for its YI 4K+ Action Camera, the YI M1 Mirrorless Digital Camera and the YI HALO professional 3D camera, YI’s launch of the YI 360 VR Camera offers users a consumer-grade, affordable yet professional quality option for capturing and sharing 360 degree footage. At $399, YI 360 VR™ is now available for purchase at Microsoft Store locations in the U.S. and Microsoft.com. Go to https://www.microsoft.com/en-us/store/d/YI-360-VR-Camera/8ZG9K9SM5BSZ now to purchase or to find a store near you to see a live demonstration YI 360’s vivid capture and live sharing for yourself.